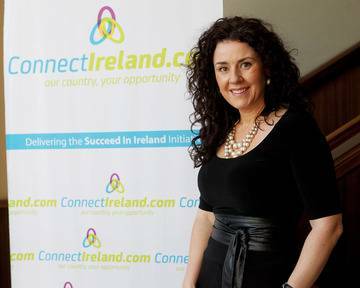 Joanna Murphy, chief operating officer of ConnectIreland, explores Ireland’s potential as a hub for foreign SMEs in light of the recent interest from French companies in particular. Ireland is well recognised as one of the top locations for global multinationals to establish their business, and in recent years it has been branded by many as the Silicon Valley of Europe, with ten of the top ‘Born on the Internet’ companies including Google, Facebook, Twitter, and LinkedIn all present in this country. SMEs on the other hand often get overlooked when facts and figures are compiled regarding Ireland’s current business landscape. However, the trend for smaller entities looking to Ireland as the perfect place to develop their offerings is fast increasing, a side-effect perhaps of the Irish Government’s fresh focus on attracting foreign start-ups to this country as part of its ‘2015 Action Plan for Jobs’. Ireland’s low corporate tax rate of 12.5pc, R&D tax credits of 25pc and deep talent pool are all contributing factors to its established track record for attracting world leaders to its shores. It’s important to note however, that many of the perks of doing business in Ireland which are enjoyed by global corporate players can equally be appreciated by foreign SMEs. What’s more, new Government plans for Ireland to become a global start-up hub by 2020, with the first annual ‘Startup Gathering’ to take place in October 2015 in five cities across Ireland, mean that the spotlight is now being shone on SMEs like never before. In addition, increased levels of support now available in this sector, including organisations like Startup Ireland, ConnectIreland, Enterprise Ireland and the France Ireland Chamber of Commerce, ensure that a safety blanket is in place for foreign SMEs looking to set up here. French companies in particular are taking a greater interest in Ireland as a business location. Over 6pc of foreign companies that have set up in Ireland through the ‘Succeed in Ireland’ initiative originated in France. This is a government programme aimed at promoting Ireland to potential foreign investors and delivered in partnership with ConnectIreland and IDA Ireland. Among these companies for example is Passion Spiruline, a gourmet French health food producer, which is the most recent French-owned company to establish an Irish base. This enterprise chose to locate its first overseas presence in Dublin and cited Ireland’s welcoming environment and support system for start-ups as major influences on its decision to expand in Ireland. The availability of a skilled workforce is also a key reason why SMEs are looking to Ireland. In essence, if you want to develop your business quickly in a foreign market, you want the right people to take charge from the very beginning. At ConnectIreland, we have found that Ireland’s hard working reputation and highly educated workforce are among the top reasons why French SMEs choose to locate their expansions here. According to the IMD World Competitiveness Report (2014) Ireland ranks first in the world for availability of skills, and fourth for the quality of its education system. Not only does Ireland have a well-educated workforce, but also a young one – with half of the country’s population aged under 35. Access to a strong and skilled workforce is crucial for the expansion of SMEs in Ireland, but so too is access to the European market. Indeed, from my experience working with foreign SMEs, I have found that access to Europe is seen as the number one consideration for North American companies when looking at Ireland. In terms of French SMEs, Ireland, as the only English-speaking country in the eurozone, provides a gateway to the English-speaking market. Ireland regularly ranks in the top five countries for ease of doing business and this is crucial to French companies when making their decision. It is clear that Ireland provides international SMEs with a range of benefits for doing business, but foreign SMEs undoubtedly have a positive impact on Irish society also. Aside from the obvious economic benefits, the introduction of international SMEs into Ireland’s business landscape has served to diversify the social scenery as well. Furthermore, it has broadened the skills and experiences of Irish people, further bolstering Ireland’s business offering and thus encouraging even more international SMEs to consider Ireland for expansion or relocation. It may be too early to label Ireland as a global start-up hub at this point in time, but the future is looking bright, and we are certainly on the right path to continue attracting foreign SMEs to Ireland with the aim of developing long-standing mutually beneficial relationships.